Petr Mamonov - russian singer, songwriter, guitarist & actor. He was born in 1951 in Moscow. Until 1982 he worked in many different places - boiler plant operator, lift-operator, translator from the norwegian language. 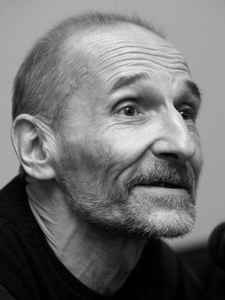 In 1982 Petr Mamonov found experimental rock band Звуки Му and became one of the most original persons in russian musical and theatrical scenes.